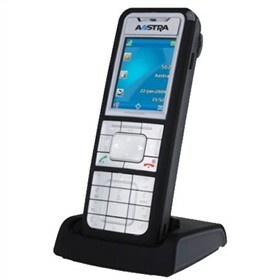 The Aastra 622d is the high-end mobile phone for the professional. It includes several cool features such as caller id/call waiting this way one can see who is calling before picking up the phone. The Aastra 622d has 8 programmable keys provide you with quick access to your favorite functions. The GAP standard is supported by phone. It has a beautiful 2" graphic colour display this way you can clearly read who is calling you. The product is equipped with a bluetooth® interface for a cordless headset as well as the ability to talk up to 12 hours at a time. The Aastra 622d has many exciting features for users of all types. You can extend the lifetime of your Aastra 622d with the purchase of a FactoryOutletStore Factory Protection Plan. See the Aastra 622d gallery images above for more product views. The Aastra 622d is sold as a Brand New Unopened Item.